This Pocket Butcher model sports a burl inlay handle and a satin finished blade. 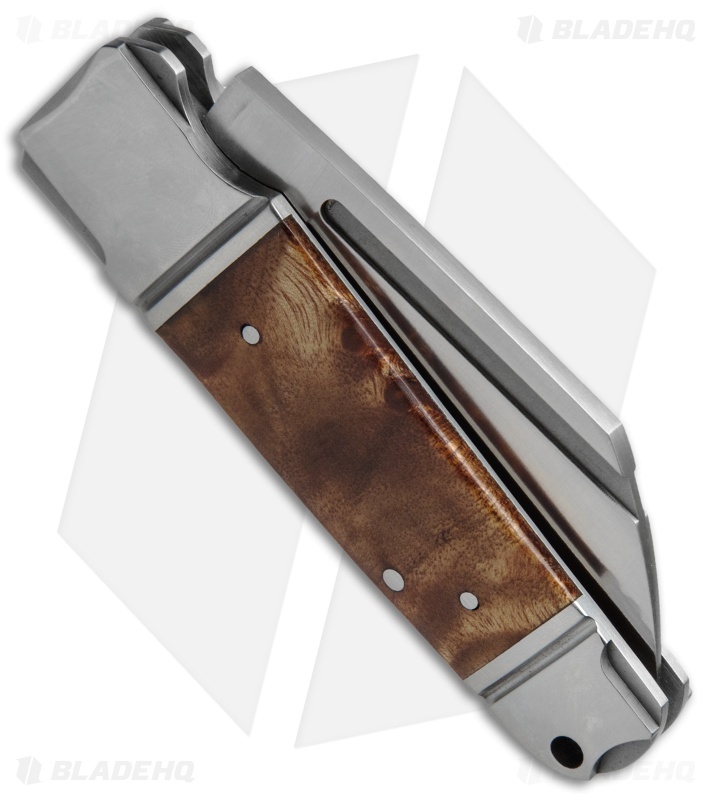 Taking styling cues from the Butcher, Andre de Villiers has incorporated his prominent wharncliffe blade design into a classy slip joint pocket knife. The Pocket Butcher features a D2 tool steel blade with a satin finish and a bead blasted finger groove along the length of the blade for easy opening. 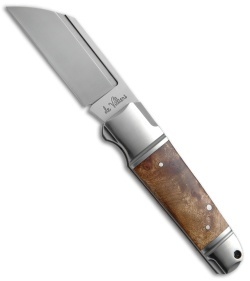 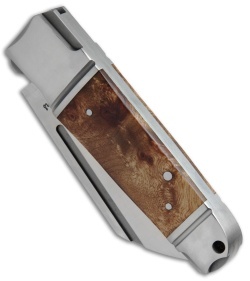 Its handle sports a classic stainless steel bolstered design with burl inlays and a lanyard hole. 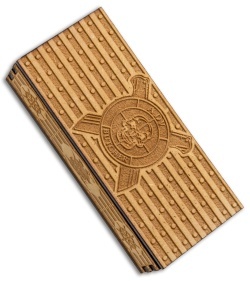 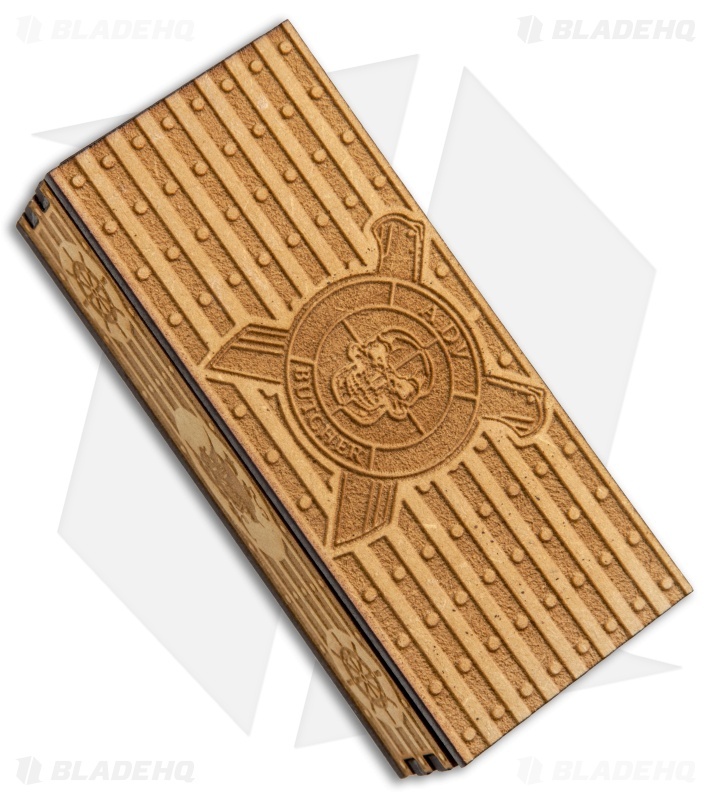 Includes a padded velcro pouch and a nautical themed wooden storage box.